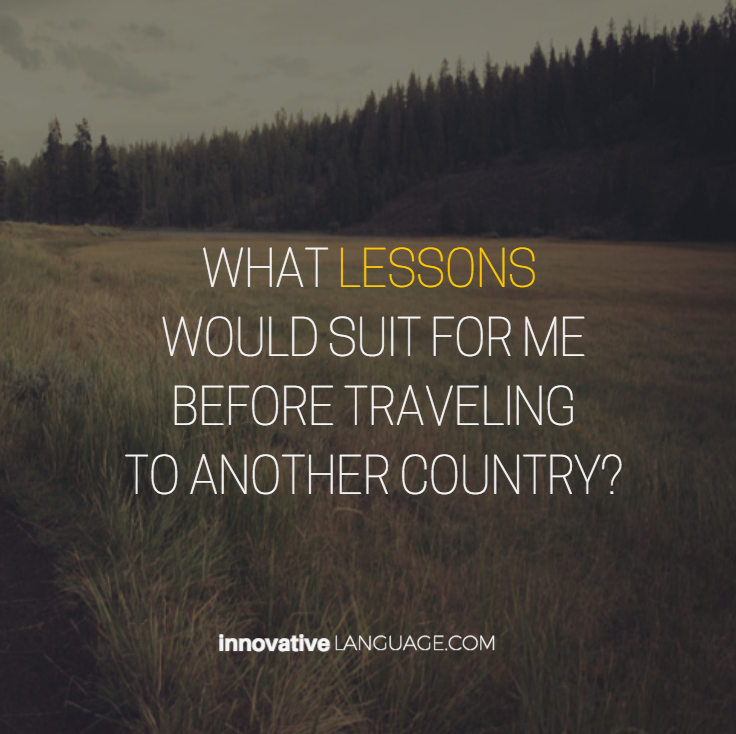 What Lessons Would Suit for Me Before Traveling to Another Country? Are you already planning to go on a trip to another country? Don’t let the language barrier ruin your vacation. Find languages lessons that would suit for you! A. I study important phrases in the target language. >> Click here! B. I just take an app or a book containing travel phrases. >> Click here! C. I prepare nothing, just enjoy my experience. >> Click here! D. My answer is not here. >>Click here! Many of us wish to learn a second language. For some people it’s to travel and for others work. Sometimes people learn a language just for the fun of it. There is no doubt about it though, learning a language can be hard work. You need discipline to keep heading off to those evening classes when you would rather be putting your feet up at home. Then you need to find time during the week to do your homework. Let’s not forget that once you have acquired language skills you need to keep using them in order to retain them. A lot of things seem to get in the way of people learning languages, work, family and simply not having enough time. Since the iphone was launched, a massive amount of educational applications have along with it entered the market. Some of the most promising application are those that aid in second language acquisition. Learning a language on the iphone is easy. There are heaps of applications to chose from in practically any learning style you can imagine. Some are highly involved, others require just a few minutes of your time each day. It’s really up to you the style in which you learn and when you want to spend time learning. To get started with you second language all you need is an iphone and internet access. There are many affordable options available, most applications cost around ten dollars, some are even free. One of the best ways to learn a new language is through the use of flashcards. Many language teachers have relied on this method for years. Gengo flashcards use this tried and true method. Gengo goes one step further to add audio to the flash cards. This way you can see a picture of the word you are looking at while hearing the correct pronunciation as spoken by a native. Here is how it works; the application comes with thousand of audio flash cards. You decide you want to learn the word for lemon. The screen shows a picture of a lemon, and the word lemon written in English, It also shows the word lemon in the target language, then plays an audio clip of the word lemon being spoken by a native. This ties together the aspects of vocabulary, oral and written comprehension as well as a visual picture which helps your brain to better remember what you are learning. You can dedicate as much or as little time as you like to learn your language. You may wish to learn ten words a day or just one word a week. The great thing about Gengo is that you will never outgrow it, in fact you can create your own audio flashcard in under thirty seconds. Simply snap a photo of something and enter the name for in English and the target language. Gengo also comes with a quiz to test your new skills. Running through your recently viewed flashcards, Gengo will assess your progress so far and point out any weak spots that you need to work on. The quiz really feels like a game in the way it is setup and is much too fun to really feel like learning. This is really two applications in one. You can view the flashcards and work on building vocabulary, or switch over to game mode and test your skills. An important part of learning is revision, to really remember what we have learnt we must continue to revise it or we will forget. Try Gengo Flashcards for FREE, now!